While on a recent flight to the annual meeting of the Social Venture Network, I had a chance conversation with a seat-mate. 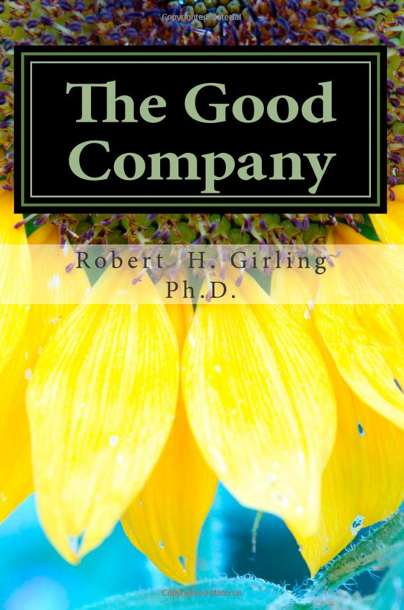 In the course of our conversation I explained that I was writing a book about ‘good companies.’ Not surprisingly, she sneered and asked if such a concept was an oxymoron. It is a hard case to make, but while Wall Street crumbles under a pounding tsunami of greed and corruption, a new breed of positive impact companies and social enterprises are quietly emerging, ready to reshape business. These companies range from social ventures like One World Health, created to deliver inexpensive drugs to the poor, to financial innovators like ShoreBank which has patiently invested in loans for rebuilding America’s inner cities. It includes environmental innovators like TerraCycle which is creating a revolution by turning waste into gold, and global innovators like WaterHealth International which brings clean water to rural villages. Even some global behemoths like Unilever are getting into the act, trying to be good Samaritans by operating a free community laundry in the slums of Sao Paulo, Brazil, and a floating hospital in Bangladesh. These enterprises are absorbing the very best from the public, private and voluntary sectors to work for the common good. 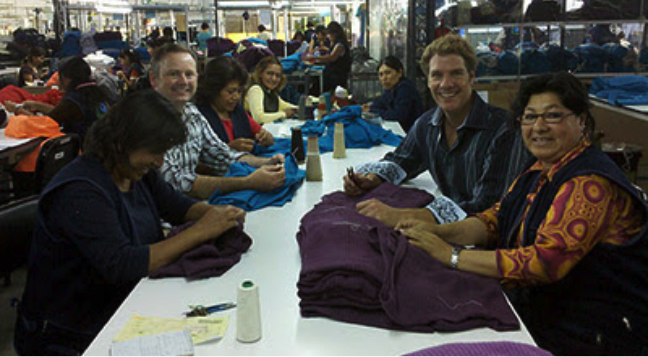 Every company can have an impact on the world; many impact the world in ways they hardly imagine. For every Wall Street ‘Bad Samaritan” like AIG there are many little enterprises like Benetech, producer of reading machines for the blind, and Indigenous Designs, a fair trade manufacturer of stylish clothing, which reaches out around the world to benefit even those in distant and remote parts of the globe. In their book “The Starfish and the Spider” authors Ori Brafman and Rod Beckstrom identify how the world-wide-web has shattered the old business landscape. With the advent of the internet, the ground on which 20th century companies were built turned to sand. New rules for success are emerging, establishing the idea that “the values are the organization.” The problem is that the emerging beneficial companies are hobbled by current laws. Companies which seek to promote social aims are subject to legal constraints which restrict their ability to access financial markets. While there is some flexibility under corporate law for companies to pursue broader social aims, in practice investors see a sharp line between for-profit activities and organizations with a social mission. To respond to the limitations of current legal forms, several new structures are emerging in an effort to facilitate a seamless integration between corporate actions and the public interest. Susan MacCormac, partner with the international legal firm Morrison and Foerster, told the Summit on the Future of the Corporation “the prevailing corporate form focuses on maximizing profit for the shareholders at the expense of other stakeholders, especially employees, the community in which it operates, and the natural environment. Even corporations that strive to integrate corporate social responsibility (CSR) into operations face constraints on their ability to pursue deep social responsibility, primarily as a result of the fiduciary obligations of their boards of directors.” The for-profit corporation, as the conceptual engine which drives corporations to operate efficiently, seems to have run off the cliff. Among the leading models is the B-Corporation, a community of companies branded as ‘beneficial to society.’ The ideas behind B-Corp were developed by Jay Coen Gilbert, founder of AND1, a company that marketed basketball clothing to the hip-hop generation, Andrew Kassoy (who manages Michael Dell’s portfolio), and Bart Houlahan, former president of AND1. 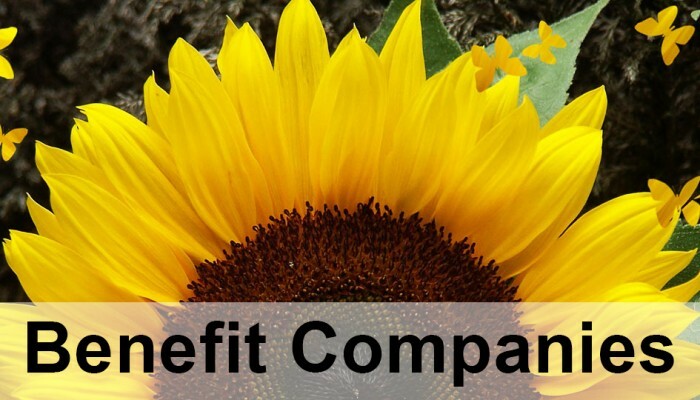 The idea behind B-Corps is to create a corporate charter under existing law working to bring together standards, legal structure, and values to create a network of companies beneficial to society. Last spring I attended the lively founding meeting of B-Corporation held in a restaurant in San Francisco. It was clear that these companies had hopes of changing the nature of how business is done in the future. B-Corp founder, Jay Coen Gilbert declared to a packed meeting of about 100 companies “We are setting out tonight to transform the economic landscape. We foresee an economic democracy which will harness private interests to serve the public interest, earning fair returns for shareholders, but not at the expense of the legitimate interests of other stakeholders, and without compromising the ability of future generations to meet their needs.“ B-Corporations agree to undergo a rigorous screening over five categories of social and environmental performance standards and are required to incorporate stakeholder governance provisions into their legal charter. Another approach is the Minnesota Responsible Business Corporation Act, a voluntary corporate form. Under the act, a company would have the ability to add the letters “SRC” after its corporate name indicating that it is a “Socially Responsible Corporation.” The legislation is intended to permit companies to integrate a dual focus on financial success and social responsibility. The SRC Company must consider the interests of the stockholders, customers, and creditors, including long-term public interests along with the short-term interests of its stakeholders. Corporations would no longer be required by law, as they are now, to maximize short-term profits. In addition, some members of the board of directors would be employee-elected and the company would be required to issue an annual public interest report. Then there is the Low Profit Limited Liability Company or L3C, a for profit company with a non-profit soul. This variant of the LLC, Limited Liability Company, a corporate form recognized in all 50 states, allows profits to be used to finance social activities such as low cost housing, urban redevelopment and/or educational programs, while paying modest dividends to investors. These emerging corporate forms parallel reforms by the British Government, which in 2005 created the Community Interest Company (CIC). “A CIC is a limited liability company that is designed for use by those who want to conduct a business for community benefit, and not purely for financial advantage.” A CIC must pass a “community interest test” to ensure that it operates in the public interest and it must file an annual report detailing how it spends its funds. Non-profit charities cannot qualify as CIC’s, but they may invest in them or own them. Often it takes a crisis to provoke change; the Love Canal resulted in the passage of the Environmental Protection Act by the US Congress in 1971. The CERES principles for responsible banking came about after the Exxon-Valdez oil spill. And toy giant Mattel’s recall forced the company to change its management and environmental practices. The current spate of financial crises has demonstrated that if we wish corporations to increase public well-being, then what is needed are changes in the existing corporate forms to reflect our changing values.